U.S. government trade figures for the first 11 months of 2017 indicated raw material imports were up in two categories outlined: hog bristle and broom and mop handles, compared to the first 11 months of 2016. For November 2017, three categories reported decreases: broom and mop handles, brush backs, and metal handles, compared to November 2016. Import totals for the first 11 months of 2017 were up in four finished goods categories outlined: hairbrushes, paint rollers, paintbrushes and upright brooms, compared to the first 11 months of 2016. In November 2017, six categories outlined recorded increases: brooms and brushes of vegetable materials, toothbrushes, hairbrushes, shaving brushes, paint rollers and paintbrushes, compared to November 2016. The United States imported 41,993 kilograms of hog bristle in November 2017, up 63 percent from 25,745 kilograms imported in November 2016. During the first 11 months of 2017, 374,550 kilograms of hog bristle were imported, up 84 percent from 203,938 kilograms imported during the first 11 months of 2016. China sent 367,362 kilograms to the United States during the first 11 months of 2017. The average price per kilogram for November 2017 was $25.34, up 5 percent from the average price per kilogram for November 2016 of $24.11. The average price per kilogram for the first 11 months of 2017 was $21.70, down 9 percent from the average price per kilogram of $23.95 for the first 11 months of 2016. The import total of broom and mop handles during November 2017 was 1.2 million, down 14 percent from 1.4 million for November 2016. During the first 11 months of 2017, 17.3 million broom and mop handles were imported, up 9 percent from 15.8 million for the first 11 months of 2016. During the first 11 months of 2017, the United States received 7.9 million broom and mop handles from Brazil, 5.1 million from Honduras and 2.6 million from China. The average price per handle for November 2017 was $1.03, up 3 percent from $1 for November 2016. The average price for the first 11 months of 2017 was 83 cents, down 8 percent from 90 cents for the first 11 months of 2016. November 2017 imports of brush backs totaled 531,001, down 20 percent from 662,171 for November 2016. During the first 11 months of 2017, 5 million brush backs were imported, down 25 percent from 6.7 million for the first 11 months of 2016. Sri Lanka shipped 2 million brush backs to the United States during the first 11 months of 2017, while Canada sent 1.9 million. The average price per brush back was 41 cents during November 2017, down 18 percent from 50 cents for November 2016. For the first 11 months of 2017, the average price per brush back was 51 cents, up 11 percent from 46 cents for the first 11 months of 2016. The import total of metal handles during November 2017 was 1.5 million, down 12 percent from 1.7 million for November 2016. During the first 11 months of 2017, 20.5 million metal handles were imported, down 15 percent from 24 million for the first 11 months of 2016. During the first 11 months of 2017, China exported 8.7 million metal handles to the United States, while Spain sent 6.5 million and Italy shipped 4.4 million. The average price per handle for November 2017 was $1.15, up 6 percent from $1.09 for November 2016. The average price for the first 11 months of 2017 was 95 cents, up 4 percent from 91 cents for the first 11 months of 2016. The United States imported 484,539 brooms of broom corn valued at more than 96 cents per broom during November 2017, down 15 percent from 569,779 for November 2016. During the first 11 months of 2017, 6.4 million brooms of broom corn were imported, down 7 percent from 6.9 million for the first 11 months of 2016. Mexico sent nearly all the brooms to the United States during the first 11 months of 2017. The average price per broom for November 2017 was $2.39, up 4 percent from $2.29 for November 2016. The average price per broom for the first 11 months of 2017 was $2.38, down 4 percent from the average price for the first 11 months of 2016 of $2.47. The import total of brooms and brushes of vegetable material during November 2017 was 267,300, up 11 percent from 240,935 brooms and brushes imported during November 2016. During the first 11 months of 2017, 2.6 million brooms and brushes were imported, down 19 percent from 3.2 million for the first 11 months of 2016. 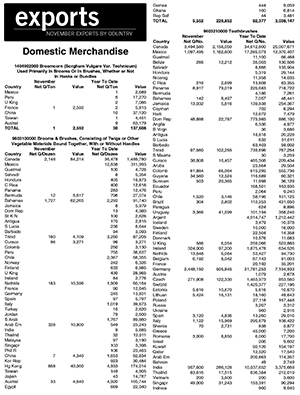 Sri Lanka exported 1.5 million brooms and brushes to the United States during the first 11 months of 2017. The average price per unit for November 2017 was $1.36, down 12 percent from the average price for November 2016 of $1.55. The average price for the first 11 months of 2017 was $1.47, up 25 percent from $1.18 for the first 11 months of 2016. The United States imported 88.3 million toothbrushes in November 2017, up 3 percent from 85.4 million imported in November 2016. During the first 11 months of 2017, 1 billion toothbrushes were imported, the same as for the first 11 months of 2016. China sent 771.5 million toothbrushes to the United States during the first 11 months of 2017. The average price per toothbrush for November 2017 was 25 cents, up 19 percent from 21 cents for November 2016. The average price for the first 11 months of 2017 was 22 cents, the same as for the first 11 months of 2016. November 2017 imports of hairbrushes totaled 5.7 million, up 33 percent from 4.3 million for November 2016. During the first 11 months of 2017, 48.2 million hairbrushes were imported, up 14 percent from 42.1 million for the first 11 months of 2016. China sent 48 million hairbrushes to the United States during the first 11 months of 2017. The average price per hairbrush was 21 cents during November 2017, down 13 percent from the average price for November 2016 of 24 cents. For the first 11 months of 2017, the average price per hairbrush was 24 cents, down 1 cent from the average price for the first 11 months of 2016. The United States imported 7.8 million shaving brushes in November 2017, up 50 percent from 5.2 million imported in November 2016. During the first 11 months of 2017, 56.1 million shaving brushes were imported, down 21 percent from 71.3 million imported during the first 11 months of 2016. China sent 40.3 million shaving brushes to the United States during the first 11 months of 2017. The average price per shaving brush for November 2017 was 9 cents, down 18 percent from the average price for November 2016 of 11 cents. The average price for the first 11 months of 2017 was 14 cents, up 1 cent from the average price for the first 11 months of 2016. The import total of paint rollers during November 2017 was 5.4 million, up 26 percent from 4.3 million for November 2016. During the first 11 months of 2017, 64.3 million paint rollers were imported, up 2 percent from 63 million during the first 11 months of 2016. China sent 52.8 million paint rollers to the United States during the first 11 months of 2017. The average price per paint roller for November 2017 was 49 cents, up 1 cent from the average price for November 2016. The average price for the first 11 months of 2017 was 47 cents, down 4 percent from the average price for the first 11 months of 2016 of 49 cents. U.S. companies imported 18.6 million paintbrushes during November 2017, up 8 percent from 17.3 million for November 2016. Paintbrush imports for the first 11 months of 2017 were 238.9 million, up 3 percent from 231.8 million for the first 11 months of 2016. China shipped 217.1 million paintbrushes to the United States during the first 11 months of 2017. The average price per paintbrush for November 2017 was 38 cents, up 36 percent from 28 cents for November 2016. The average price for the first 11 months of 2017 was 30 cents, the same as the average price for the first 11 months of 2016. The total import of upright brooms for November 2017 was 1.4 million, down 7 percent from 1.5 million for November 2016. During the first 11 months of 2017, 15.9 million upright brooms were imported, up 3 percent from 15.4 million imported during the first 11 months of 2016. China sent 13.8 million upright brooms to the United States during the first 11 months of 2017. The average price per broom for November 2017 was $1.53, up 7 percent from $1.43 for November 2016. The average price per broom for the first 11 months of 2017 was $1.25, down 8 percent from $1.36 for the first 11 months of 2016. Export totals for the first 11 months of 2017 were down in three categories outlined: toothbrushes, artist brushes and paintbrushes, compared to the first 11 months of 2016. In November 2017, all five categories reported decreases, compared to November 2016. The United States exported 5,552 dozen brooms and brushes of vegetable materials during November 2017, down 39 percent from the November 2016 total of 9,042 dozen. Exports of brooms and brushes of vegetable materials during the first 11 months of 2017 were 82,377 dozen, up 25 percent from 65,765 dozen for the first 11 months of 2016. The United States sent 36,478 dozen brooms and brushes to Canada and 12,838 dozen to Mexico, during the first 11 months of 2017. The average price per dozen brooms and brushes was $41.40 in November 2017, down 27 percent from $56.89 for November 2016. The average price per dozen brooms and brushes for the first 11 months of 2017 was $36.88, down 24 percent from $48.25 for the first 11 months of 2016. During November 2017, the United States exported 10.8 million toothbrushes, down 3 percent from 11.1 million for November 2016. During the first 11 months of 2017, 123.8 million toothbrushes were exported, down 24 percent from 162 million exported during the first 11 months of 2016. The United States exported 34.6 million toothbrushes to Canada, 31.8 million to Germany and 17.3 million to Mexico, during the first 11 months of 2017. The average price per toothbrush for November 2017 was 55 cents, down 5 percent from 58 cents for November 2016. The average price per toothbrush for the first 11 months of 2017 was 56 cents, up 19 percent from 47 cents for the first 11 months of 2016. The United States exported 1.2 million shaving brushes during November 2017, down 8 percent from 1.3 million for November 2016. During the first 11 months of 2017, 15.9 million shaving brushes were exported, up 5 percent from 15.2 million for the first 11 months of 2016. During the first 11 months of 2017, the United States exported 7.2 million shaving brushes to Brazil, 3.8 million to Canada and 1.2 million to Mexico. The average price per shaving brush for November 2017 was $1.06, down 11 percent from $1.19 for November 2016. The average price for the first 11 months of 2017 was $1.06, down 12 percent from $1.21 for the first 11 months of 2016. November 2017 exports of artist brushes totaled 874,367, down 21 percent from 1.1 million for November 2016. During the first 11 months of 2017, 9.1 million artist brushes were exported, down 12 percent from 10.3 million for the first 11 months of 2016. Canada received 6.5 million artist brushes from the United States during the first 11 months of 2017. The average price per artist brush was $3.86 during November 2017, up 34 percent from the average price for November 2016 of $2.87. For the first 11 months of 2017, the average price per artist brush was $3.82, up 8 percent from $3.53 for the first 11 months of 2016. The export total of paintbrushes during November 2017 was 154,558, down 3 percent from 160,131 for November 2016. During the first 11 months of 2017, 2.1 million paintbrushes were exported, down 28 percent from 2.9 million for the first 11 months of 2016. Canada imported 869,787 paintbrushes from the United States during the first 11 months of 2017, while the United Kingdom received 536,855. The average price per paintbrush for November 2017 was $10.02, up 29 percent from $7.74 for November 2016. The average price for the first 11 months of 2017 was $7.23, up 27 percent from $5.71 for the first 11 months of 2016. 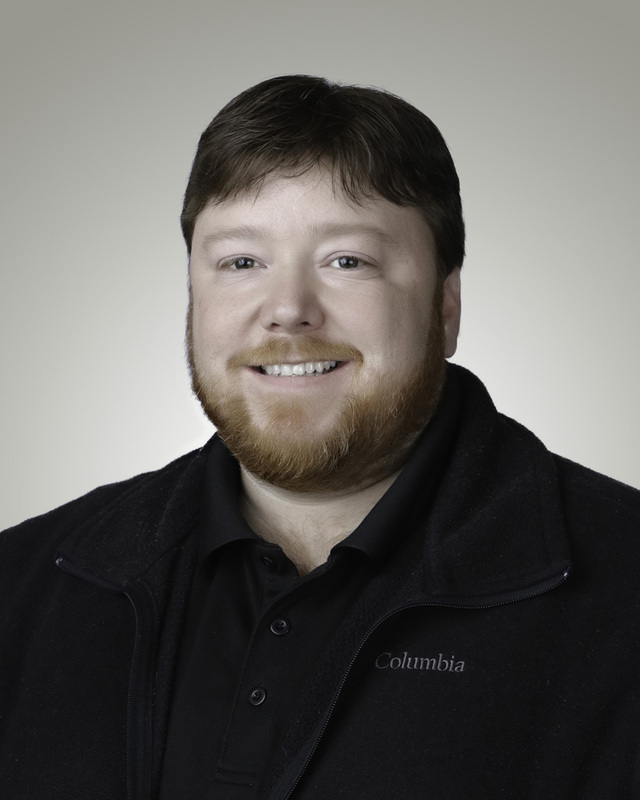 Jones Yarn has named Richard Kimble as the company’s new plant manager. Kimble, who began work with Jones Yarn on the third-shift maintenance crew in 1998, has worked at every current facility in the Jones Family of Companies. To learn more about Jones Yarn, visit jonesyarn.com. 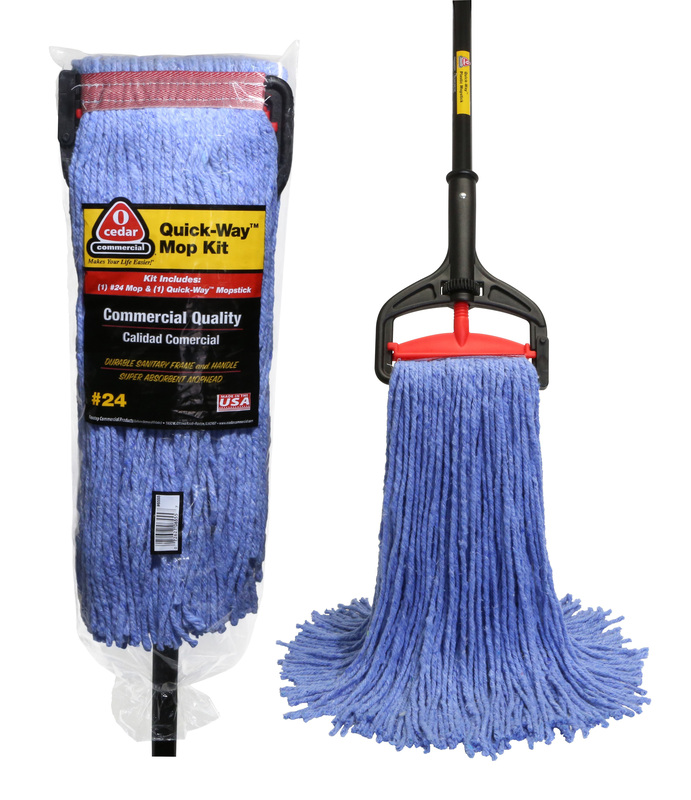 Nexstep Commercial Products is now offering the Quick-Way™ Mop Kit. • Attractive packaging for cash & carry. For more information, contact www.ocedarcommercial.com. Nexstep is the exclusive licensee of O-Cedar. 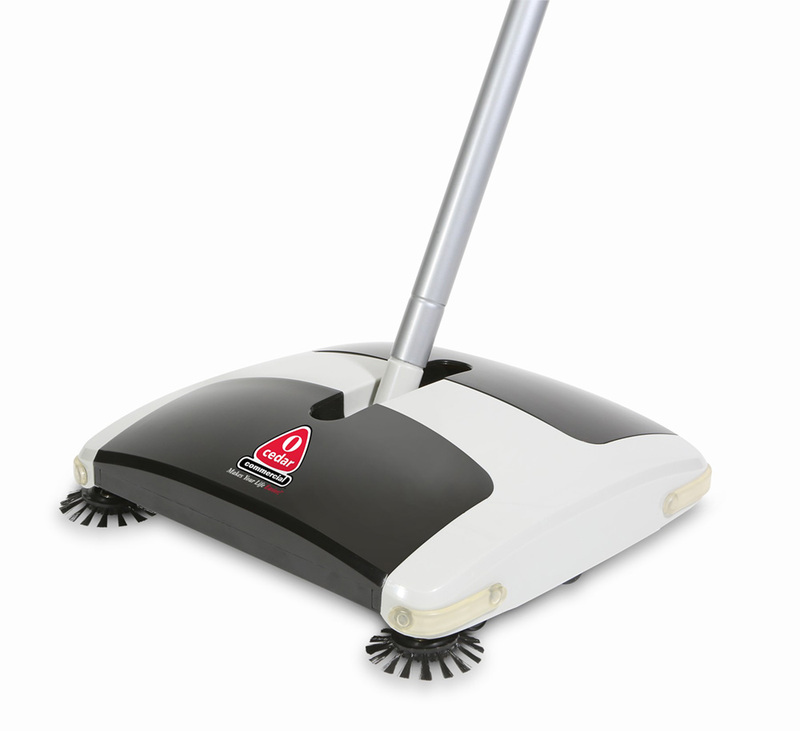 Nexstep has introduced its new MaxiVac™ Floor Sweeper. For more information, visit www.ocedarcommercial.com. Abtex Corp., led by its president, Mark Fultz, has again been recognized as one of the fastest-growing companies in the Greater Rochester, NY, area. The company has been ranked 40th of the 2017 Rochester Chamber Top 100, an annual list researched and compiled by the Greater Rochester Chamber of Commerce and KPMG LLP. Due to growth, the company’s 2017 ranking is exceptionally higher than its 2015 ranking. 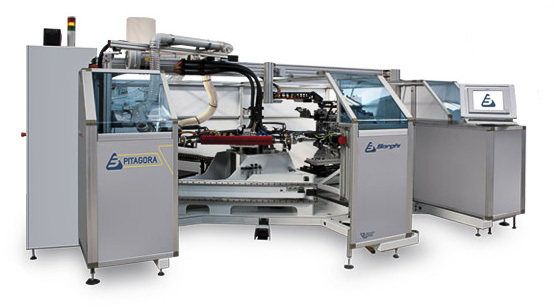 Abtex is a creator of machine/brush deburring solutions for the manufacturing industry. Since 1980, Abtex Corporation has been providing integrated brush/machine deburring solutions to the North American manufacturing industry. The company supplies filament brushes and custom-designed deburring machines for machined-part, aluminum-extrusion, fine-blanked, and powdered-metal applications. Customers include manufacturers such as automotive tier 2 and tier 3 parts producers. 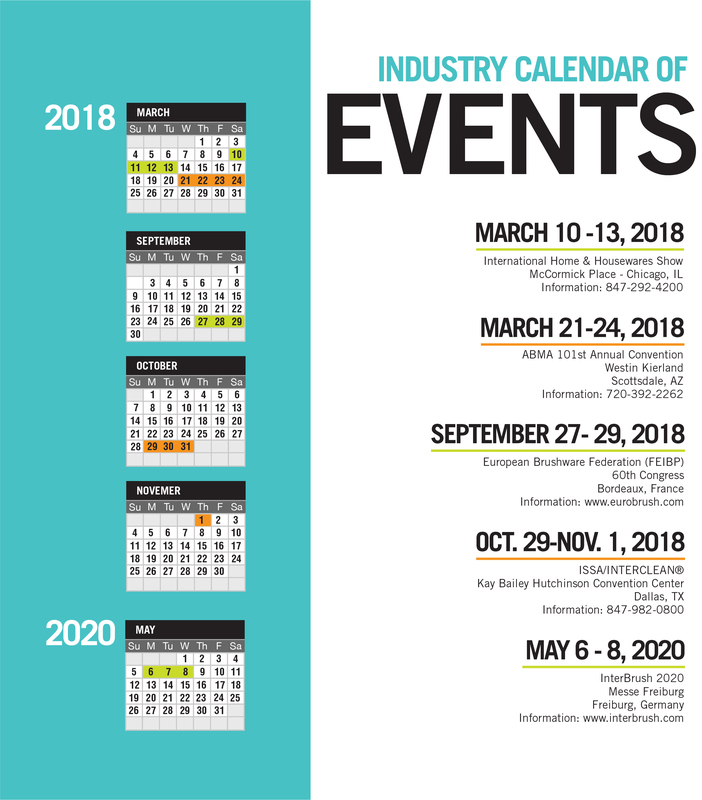 For more information, visit www.abtex.com.